Thank you to the NCIS and its Grant Awards Committee for the grant to attend the Society for U.S. Intellectual History annual conference in Chicago, November 8-11, 2018.. It was important for me on several fronts. I was on the conference committee and involved in the planning and participated in a six hour reading group before the start of the conference. Second, I presented a paper on the panel “Gender on Intellectual History” with colleagues in a mutual long-term publication project on the same topic. 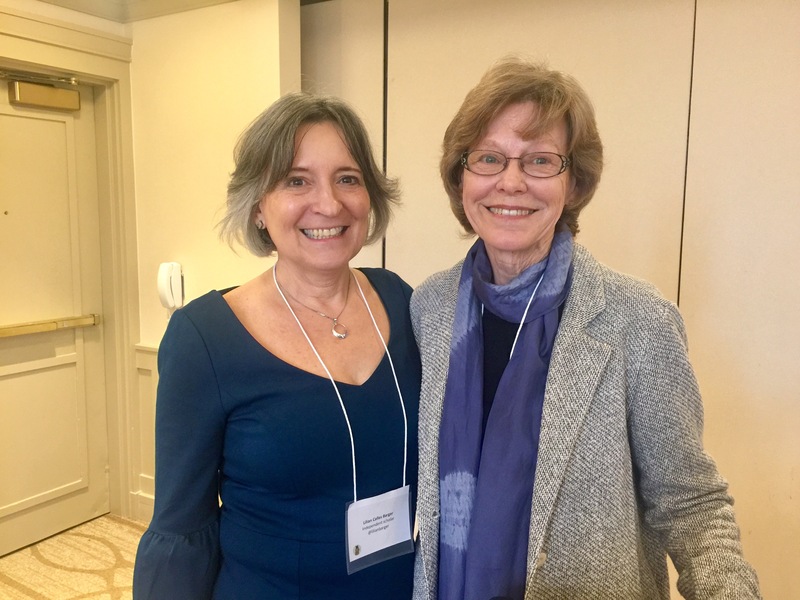 My paper was entitled “Finding Gender in ‘Free Range’ American Thought.” Our panel had as a respondent Rosalind Rosenberg, a distinguished scholar in intellectual and gender history (on R in photo). This panel was very well attended with much interest in our presentation on the use of gender analysis to interrogate the history of American thought. A lunch gathering that followed allowed the panel to get feedback from the audience on our publication project. Both of these publications have placed me near the center of the historical study of American radical religion, a growing field. Going to this conference allowed me to promote my work further and network for future projects. This has been a significant year for my work and I am grateful to have the support of other independent scholars. I am encouraged that as independent scholars our work is valued. The key, I believe, is building broad connections and relationships with others with common interest. Thank you for your support.